As a Unesco city of design, Saint-Etienne, located 40 miles from Lyon in France, has made the choice to focus its meetings and event offers on design and creativity. Planetarium de St Etienne: Groups can spend an hour watching a 2D- or 3D-film followed by a guided tour of the starry skies at the Planétarium de Saint-Etienne. 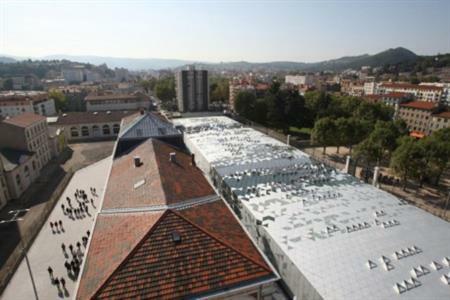 Mining Museum: The largest mining site in the south of France is now open to the general public. This living memory retraces six centuries of an industry that influenced the history of the region. Groups can go on a spectacular moving journey and learn about the miner’s working life and the evolution of mining techniques. Le Corbusier site in Firminy: The Firminy Vert site is just 20 minutes from Saint-Etienne and embodies one of the architect Le Corbusier’s major themes. The "Centre de récréation du corps et de l’esprit" group is one of Le Corbusier’s biggest projects in France and abroad and includes the Maison de la Culture, Stadium, Saint-Pierre Church and a Residence. Groups can explore this area, including the lofty concrete Saint-Pierre Church with its sublime acoustics and lighting. Cite du Design: The Cité du Design, an icon of the city, is based in a former arms factory site and hosts exhibitions and conferences. The observatory tower, which is 32 metres high, gives groups the opportunity to admire a 360° panorama on the town.